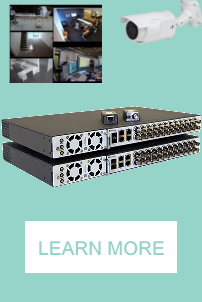 Digium TDM02B - FREE UPS GROUND SHIPPING [TDM02B] : AddVant LLC, IP PBX, IP Phones, WiFi etc. The Wildcard TDM400P family is a half-length PCI 2.2 compliant card that supports from one to four telephone interfaces for connecting analog telephones or analog lines to a PC. Using Digium s Asterisk PBX software and standard PC hardware, one can create a SOHO (Small Office Home Office) telephony environment that includes all the sophisticated features of a high-end business telephone system. The TDM400P family takes the place of an expensive channel bank and brings the system price point to a low level. By using FXO and FXS modules with the TDM400P family, one can create a solution with support for a range of telephones. To scale this solution, simply add additional TDM400P family cards populated with modules. The naming convention for the TDM bundles is as follows: TDM X Y B. Where TDM denotes that the card is TDM, X denotes the number of FXS modules, Y denotes the number of FXO modules, and B indicates that that this product is a bundle.